Wykeham tackle Andy Hire Evening League Division A title rivals Heslerton in the Andy Hire Harburn Cup final at North Marine Road on Friday night, 6pm start. Both teams have some excellent players with Heslerton looking for runs from Richard Malthouse, Paul Bowes, Gary Hall, Kristian Wilkinson and Jake Keyworth as well as wicket keeper and captain Sam Triffitt. Their bowling attack also looks to be strong with fast bowlers Wilkinson and Adam Spaven along with medium-pacers Stu Pickard, Paul Kinghorn and Malthouse together with the fine spin bowling from Dan Jeminson. 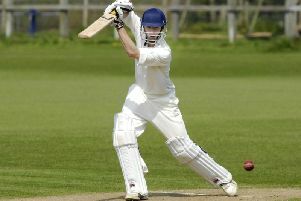 Wykeham also have a powerful batting line-up with captain James Bryant, Tom Pateman, the Bruce brothers, Mark, Tom and James, along with Jack Holt. Their bowling will be undertaken by the fast bowler Holt, medium-pacers Mark Bruce, Matthew Graves and James Bruce. This cup competition has been running for 68 years now being started in 1948 and has been sponsored, as is the Scarborough Evening Cricket League which runs this competition, by "Andy Hire" Plant and Tool Hire of Scarborough and Bridlington since 1990. Heslerton won the cup four times in the 90's the last time in 1998 when they beat Cayton and they appeared in the final 8 times in the 90's, their last time being in 1999 and they have not been in the final since. Wykeham have never won the cup before but did get to the final once in 1987 when they lost to Cayton. A good close game is expected between these two excellent teams with umpires Steve Dodds and Martin North officiating. The game will be of 15 eight-ball overs per innings with fielding circle restrictions in force throughout the game. No bowler is allowed to bowl more than four overs. It is hoped for a good crowd at this final with entrance game free of charge, however a raffle will be held with many excellent prizes to be won in lieu of any entrance fee with money raised being donated by the league to local charities. Sharon Blackstone a Joint Director of "Andy Hire" will present the trophies at the end of the game to the captains.